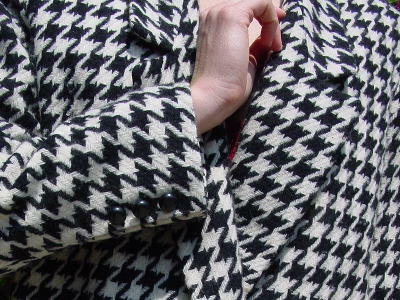 This black and white vintage Giorgio Sant'Angelo jacket is 100% pure new wool. It's a nice thick fabric with a little pilling. 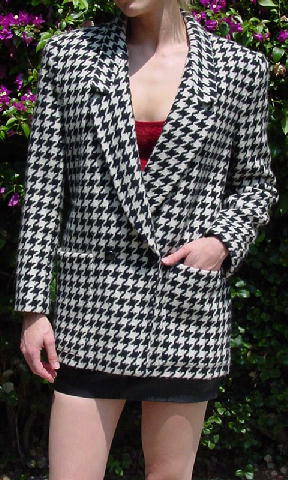 There is a black lining, and the jacket was made in Yugoslavia. There is a two button front closure (one interior clear and one exterior black), and there is a second exterior (decorative) black button. 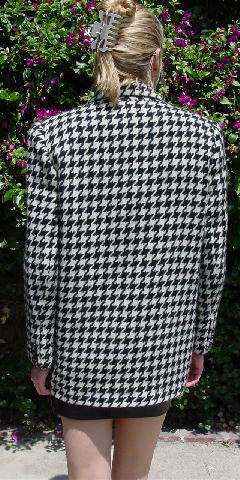 It has long sleeves, two lower large, deep front pockets, and shoulder pads. shoulder to shoulder 17 1/4"